Jean-Christophe Mayer is a Research Professor employed by the French National Centre for Scientific Research (CNRS). He is also a member of the Institute for Research on the Renaissance, the Neo-classical Age and the Enlightenment (IRCL) at Université Paul Valéry, Montpellier. He is the author of Shakespeare’s Hybrid Faith—History, Religion and the Stage (Palgrave, 2006) and of Shakespeare et la postmodernité: Essais sur l’Auteur, le Religieux, l’Histoire et le Lecteur (Peter Lang, 2012). He has edited Breaking the Silence on the Succession: A Sourcebook of Manuscripts and Rare Texts (Montpellier UP, 2003) and has published an edition and translation of Henry Porter’s Two Angry Women of Abington (Pléiade, Gallimard, 2010). He has also edited several collections of essays, including most recently Representing France and the French in Early Modern English Drama (U of Delaware Press, 2008) and Shakespearean Configurations (Early Modern Literary Studies, Special Issue 21). He is co-general editor of the journal Cahiers Élisabéthains and was Barbara Mowat – Andrew W. Mellon long-term fellow at the Folger Shakespeare Library in Washington, D.C (2010-11) and short-term fellow at the Huntington Library (2014). His work was also supported by research and travel grants from the Japanese Society for the Promotion of Science (JSPS) in 2013 and 2016. Since 2017, he is an expert for the European Commission in the field of humanities. His latest monograph, entitled Shakespeare’s Early Readers: A Cultural History from 1590 to 1800 was published by Cambridge University Press in September 2018. 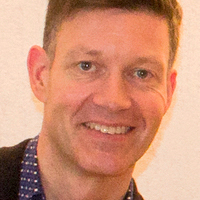 Jean-Christophe Mayer’s research interests include: cultural exchanges and migration; political and cultural thought emerging from the comparison between past and present migration flows (early modern to postmodern); interpretation of cultural and social changes caused or catalysed by migration and population processes; the impact of migration on historical change and its interpretation; more specifically: comparisons between traditional historical and political thought on the supremacy of empires and nation-states and actual historical mobility and migration processes. Jean-Christophe Mayer will co-supervise one MOVES research project: “The Impact of Migration on Historical Change and Its Interpretation”.